If you simply pay a speeding ticket, you are pleading guilty to the charge. Even though that may seem to be the easiest way to deal with a ticket, it is merely a short-term solution. 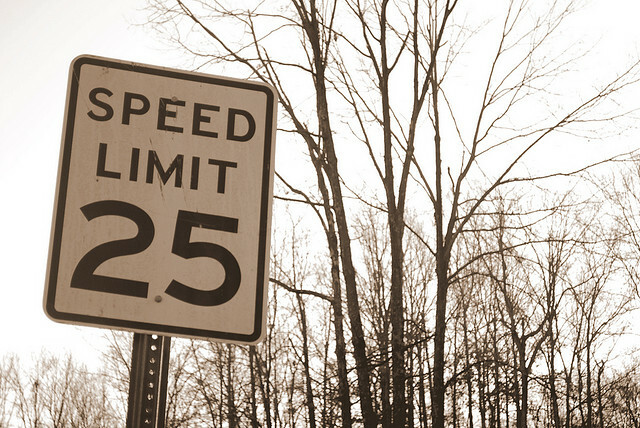 Speeding tickets have a cumulative impact on your license. A guilty plea to any speeding ticket automatically adds points to your driver’s license. The amount of points depends on how many miles per hour you are going above the posted speed limit. Your insurance company reviews how many points you have accumulated and will increase your insurance rates because of those points. If you accumulate 12 points in two years, your license will be suspended for six months. If you have racked up two speeding tickets in the year, the third ticket in that year is a fourth degree misdemeanor, which could earn you up to 30 days in jail. With three or more speeding tickets over the past year, the next speeding ticket is a third degree misdemeanor punishable by up to 60 days in jail. As you can see, simply paying the ticket can eventually result in a very bad situation. Even if this is your first speeding ticket, you should seriously consider hiring an attorney who is experienced in successfully litigating Columbus, Ohio, speeding tickets. The Maher Law Firm may be able to keep your record clean. While hiring an attorney will cost money up front, it should save you money in the long-term by keeping your insurance rates low. The first step in contesting your speeding ticket is to hire an attorney. Certain matters need to be dealt with at your first court date also called an arraignment. If you need some time to get the funds to hire an attorney, ask the court for a continuance. Pleading not guilty at arraignment could cause you to miss an opportunity for a favorable result. If your attorney decides that pleading not guilty at your arraignment is the best course of action, a pretrial and/or trial date will be set for you at that time. Both the pretrial and trial dates can be other opportunities for a favorable outcome. You can contest your traffic ticket. In fact, it is often to your advantage to fight the speeding ticket. If you are facing a traffic ticket, or another in a series of traffic tickets in Columbus, Ohio, you need an attorney who knows the law and can help you navigate the legal process involved with fighting traffic offenses. Get the representation of a skilled and trusted attorney who can give you the help you need. The Maher Law Firm can help make sure that your driver’s license is protected. Founding attorney, Colin Maher has in-depth knowledge and experience working with traffic cases and he will put his skills to work for you. Call The Maher Law Firm today for a free consultation at 614-205-2208 or contact us online.